TDM or Trillion Dollar Markets are those countries whose economies are measured by GDP on a purchasing power parity basis in US dollars. These countries has grown larger than one trillion dollars. It is estimated that the collective purchasing power of consumers in these countries is in excess of One Trillion Dollars. So far in the world, twenty-five nations have achieved this key milestone. 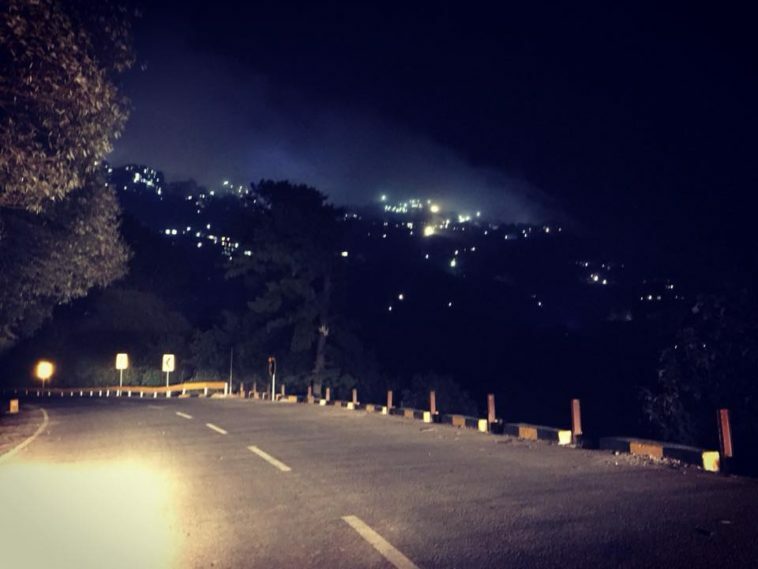 Based on October 2017 IMF/World Bank GDP (PPP) forecasts for the 2017-2022 period, India, China and Pakistan are ranked in top 3 followed by 22 other countries including US, Japan and Canada. The increasing population in these countries must also be accounted for and that raises eye brows for countries like Pakistan, India and Indonesia that are typically presented in the news as growing back into the stone age. So much for this fiction? What is Purchase Power Parity? Purchase Power Parity is an economic theory considers the exchange rate and the corresponding purchasing power. It is often used to compare income levels in different countries. GDP (Purchase Power Parity) is different than the traditional way of calculation as it takes into consideration what can a specific amount purchase. Based on October 2017 IMF/World Bank GDP (PPP) forecasts for the 2017-2022 period, India and China are forecast to be the world’s first and second fastest growing TDMs, respectively. They are followed by Pakistan, Indonesia, and Egypt to close out the ranks of the five fastest growing TDMs in the world. 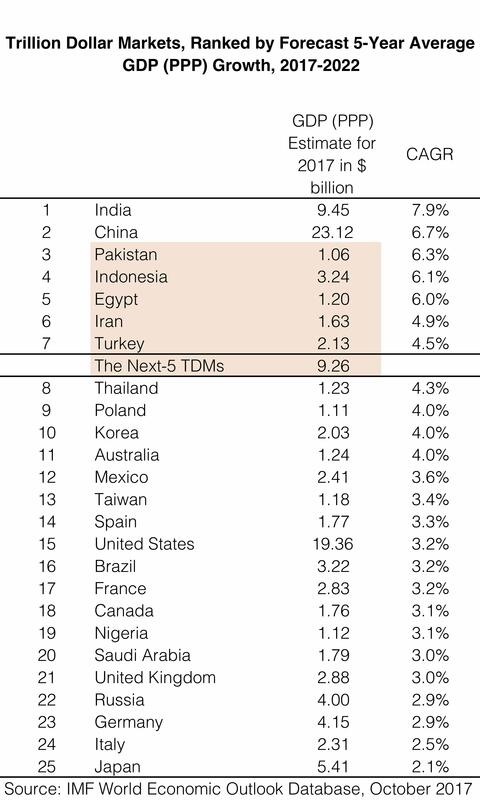 Including Iran and Turkey, the sixth and seventh ranked TDMs by growth, respectively, consumers in the five fastest growing TDMs after India and China (“The Next-5 TDMs“) collectively represent purchasing power that is nearly equal in size to that of India.